Book trailers are a great way to promote and market your book. They can be displayed on author web sites, on blogs, in networks, communities, social communities and wherever video’s can be hosted at. You Tube is a perfect example of the video craze with millions of videos and daily viewers. For years the motion picture industry have used movie trailers to showcase movies to movie lovers. Today, authors and publishers are finding the power of book trailer marketing. Our graphic arts department can create a custom book trailer that showcases your book. 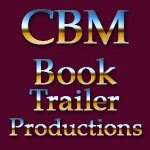 Be sure to see our book trailer expanded marketing packages at the bottom of the page. Increase visitors to your site through expanded book trailer marketing. We can post your video book trailer on the following number of sites for one full year. This is a great way to get some publicity and book marketing using your book trailer. We also offer Video Book Trailer Social Media Marketing making your video viewable to millions of Facebook fans and Twitter followers.